Research and development at Chaitanya Group ensures a complete focus program that covers chemical analysis, stability studies, physical analysis, safety assurance, formulation and new product development and quality assurance. Our management team consists of technocrats & entrepreneurs from backgrounds ranging from food technology & microbiology. The multidisciplinary R&D approach followed at Chaitanya Group offers greater efficacy and superior safety profiles for our products, tested through state-of-the-art equipment such as Atomic Absorption Spectrophotometer, Photometer, Colorimeter, etc. Our team of focused PhD''s, M.Sc''s and focused specialists conduct extensive testing and development pilot trials using optimized process upgrades towards improved yields. 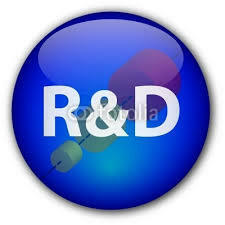 The R&D team drives these initiatives towards offering cost advantages to our customers. The routine R&D activities cover chemical analysis and certification according to USP, BP, EP and JP; Physical tests for assay, bulk density, pH, etc. ; a quality assurance program that commences from the stage of sourcing raw material till the final dispatch of our products to their respective destination. Subsequently, we are able to maintain an excellent quality track record. The formulation and new product development team is constantly working towards making effective combination salts and specialty haematinic products based on the application requirements. As a result, we have developed several products with excellent properties for the mineral fortification of food and beverage. Chaitanya group’s research and development is based on working to improve quality, create new products and increase applications with regards to our market and customers. Chaitanya Group of Industries has an extensive team of Scientists comprising of PhD''s and MSc;s who work with our customers in delivering optimal solutions. It used in the mineral fortification area or in terms of product solubility or fine-tuning bulk density, our scientists will be sure to deliver a solution within a very quick turn around time. This service offering has been instrumental in enabling Chaitanya to work with leading customers not only as customers but also as strategic partners. If you have an idea where our products can assist in delivering a unique solution, we would love to hear from you and work together in commercializing your idea.